Personality Crisis: Are Frustration and Heartache all that ‘Vinyl’ has got? 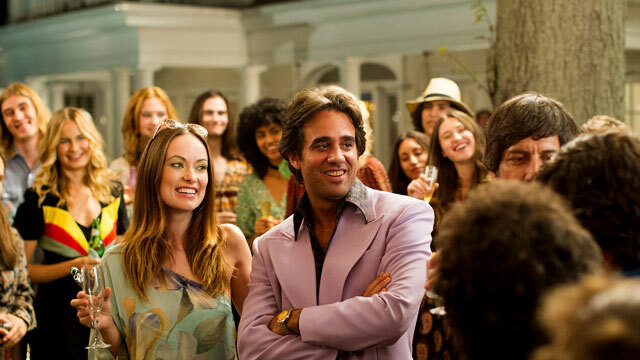 The ingredients of HBO’s much-hyped new series Vinyl would seem to be foolproof. We have the electrifying moment in the mid-’70s when rock’s atrophied old guard was about to be overthrown by the raw eff-you energy of punk on the Lower East Side, with hip-hop taking shape just a few miles to the north in the Bronx. We have legendary tales of nefarious behavior in the now-extinct major-label kingdom run by notorious but fascinating tyrants such as Walter Yetnikoff, Irving Azoff, and Clive Davis, as well as more well-meaning visionaries like Mo Ostin. We have New York City when New York City still was New York City: filthy, gritty, dangerous, rat-infested, and with nary a Disney Store nor a Rainforest Cafe in sight. And we have director Martin Scorsese, the filmic bard of that lost New York (Mean Streets! Taxi Driver! After Hours! Good Fellas! ), collaborating as show runner and auteur with Terence Winter (The Sopranos! Boardwalk Empire!) and no less a musical giant than Mick Jagger (who’s been phoning it in since 1978, but who still should be able to summon a touch of the magic from the period that yielded the Rolling Stones’ last great album, Some Girls). So why, oh why is Vinyl such an abysmal, embarrassing, and disastrous mess? In the spirit of the all-important pop chart of those years passed, let us count the Top 40 reasons why the first two episodes and three hours of this series have been a major disappointment. 1.) The soundtrack. Oh, most of the choices were spot-on; the problem was that some of these tunes appeared in the versions by the original artists (Slade’s “Mamma Weer All Crazy Now,” ABBA’s “Ring Ring,” and Edgar Winter’s “Frankenstein” among them), while others were just horrible recent cover versions. 2.) For example, we don’t get the New York Dolls’ original recording of “Personality Crisis,” the most important musical selection for the plot in the two-hour pilot and what may prove to be the spiritual theme for the entire series. Instead, we hear an inferior new version recorded by David Johansen. 3.) Similarly, the hacks hired to re-record the Velvet Underground playing “Run Run Run” and “Venus in Furs” onstage in a flashback in episode two slaughtered those masterpieces. 4.) Led Zeppelin’s songs, heard in the distance of Madison Square Garden during the debut, also were a flaccid imitation of the golden gods thundering over the tundra. 9.) Scorsese already has done the manic-cocaine-binge thing before, and better. Yeah, it was part of the music scene at the time. But it’s hard to watch, as well as being redundant. These scenes make you want to echo Nancy Reagan and just say no. 10.) Back to the women: As written, the domineering and materialistic wife of Finestra’s partner Zak Yankovich (Ray Romano, another of the rare winners in the cast) could not be shriller, pettier, or more of an insulting anti-Semitic caricature. And she’s such an afterthought that despite a substantial presence in episode two, the actress in the role isn’t even listed in any of the official credits! 20.) So was fake Buddy Guy! 21.) And bogus Otis Redding! 22.) And ersatz Ruth Brown! 23.) Actually, every actor and actress playing every fake rock great was embarrassing! 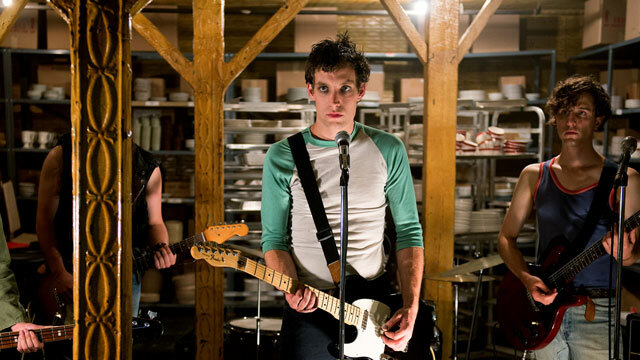 If the record company characters are fictional, why aren’t the rock stars? 24.) The work-arounds for this problem were obvious. The producers could have created fictional simulacrums/composites of these musical greats, as Cameron Crowe did in Almost Famous. 25.) Or they could have kept the well-known musical stars in the shadows. Either approach would have been vastly preferable to what we’ve gotten so far, which isn’t even as good as live-band karaoke or a third-tier tribute group. 33.) The grisly, prolonged murder of king-slime radio mogul Frank “Buck” Rogers. 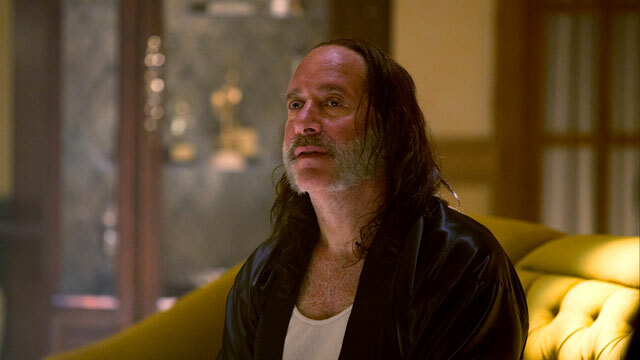 To be certain, I have no use for Andrew Dice Clay, but his sleazebag radio jerk was phenomenal, with all the makings of the best TV villain since Al Swearengen. Alas, the writers and producers already have killed him off in the least credible of the many hard-to-believe plot twists of episode one. 35.) The opening needle-in-the-grooves motif is a cliché and a drag, too. Boardwalk Empire’s theme and oceanfront opening both were better, and they certainly weren’t great. 37.) 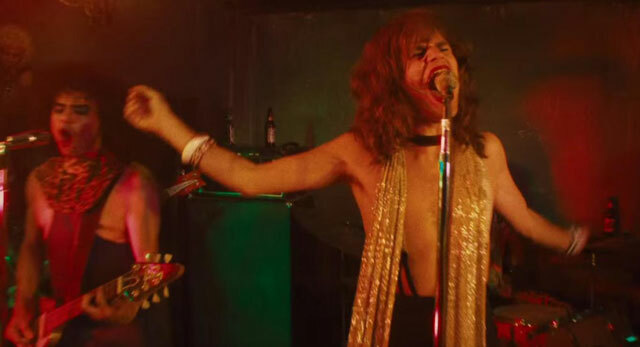 When Richie asks Julie if he should wear the Black Sabbath or Pink Floyd T-shirt to the A&R meeting where he’s about to announce a new (punk) sound aborning, and he goes with the Sabbath, the writers missed the fantastic opportunity for him to choose the Floyd but detourne it by ripping it up and adding an “I Hate…” in Magic Marker, as Johnny Rotten once did. 40.) The show namechecks Bangs within its first few minutes—evil receptionist to Richie upon his arrival at the company’s Brill Building offices: “Lester Bangs returned your call!”—though to no good end. Invoking Lester only underscores that someone involved behind the scenes of this mess knows better, and the same is true of the many other cool name-drops so far, among them Captain Beefheart, the MC5, and Suicide. Fellas, you may know the names, but you don’t seem to have gotten the messages. At least, not yet. 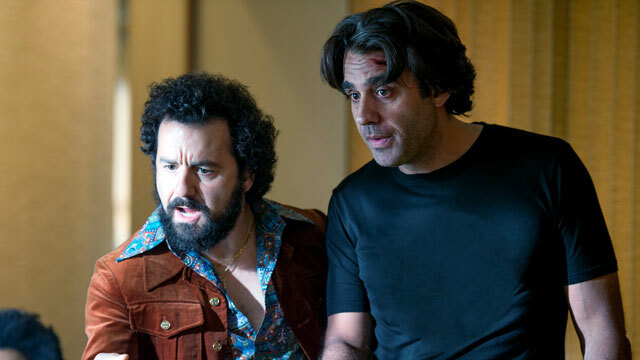 We’ll find out if things take a turn for the better—and despite low ratings and skeptical to savage reviews, HBO already has renewed Vinyl for a second season after the first nine episodes. Wait, did I just say we’ll find out? Yeah, I did. Despite all of the reasons listed above, and probably many more to come, I’m hooked, if only to hate-watch the damn thing. I mean, how could I not? They namechecked Lester Bangs!